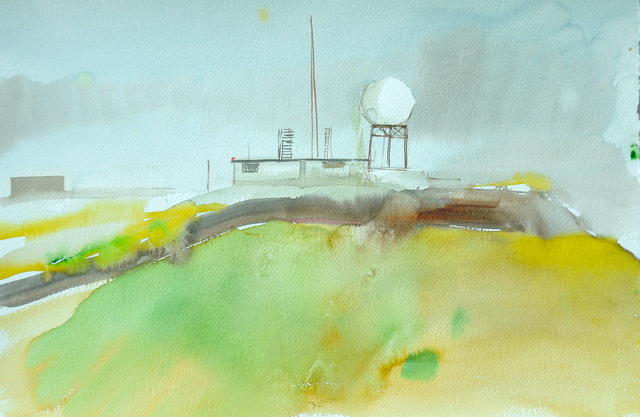 This painting is a response to the structures of radar stations in the remote islands of Shetland. Analysing the contemporary Scottish landscape through visual metaphors this painting embraces the contradictions of the natural and built environment. This work shown was shown as part of the First International Watercolour Painting Biennial in China. The exhibition took place in Luohu Art Museum, Shenzhen, China in April 2018.